So yeah, the return to Hoenn will start November 21st. 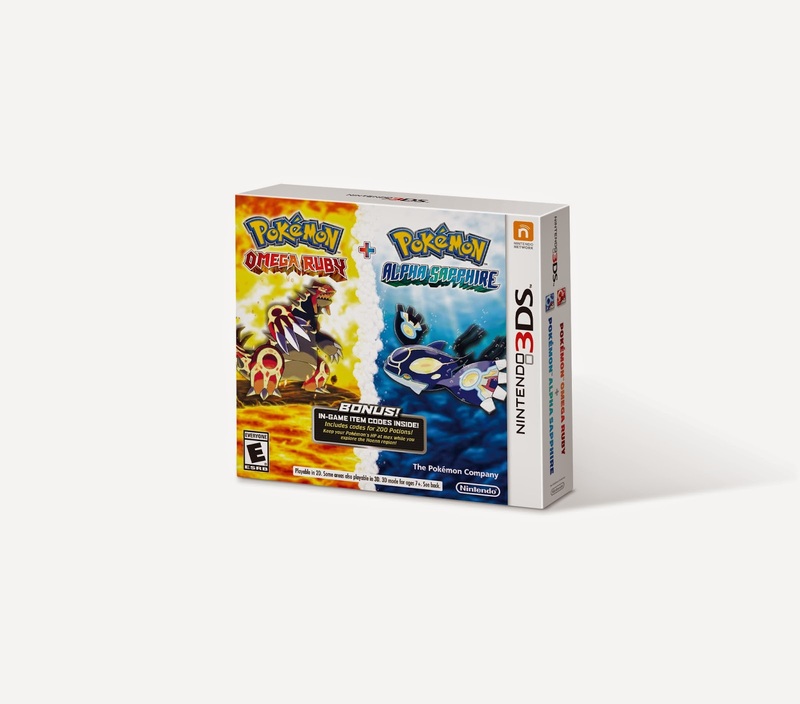 Instead of buying the games separate like most Pokemanics plan on doing you can just buy the bundle. Price wise, you really aren't saving any money as in the MSRP is $79.98. If you buy the games separate it will run you $39.99. What you do get is 100 potions for each game via download code.
" In addition to both games, the Dual Pack includes a pair of in-game download codes that can be redeemed for 100 Potions each. Starting a new Pokémon game with 100 extra Potions is a treat for players who want to be well-stocked for their epic journey through the Hoenn region.